WATCH: Marriage advice from a couple who've been married for 45 years! Do you want to know the secret to a happy marriage? This couple shares their secrets to a 45 year marriage. Whether you're getting married soon or have already been married for a while, we'd all like to know the secret to a happy marriage. How do some couples stay together for so many years and remain as committed and happy as they were on day one? What can we do to ensure the vows we took are indeed forever? 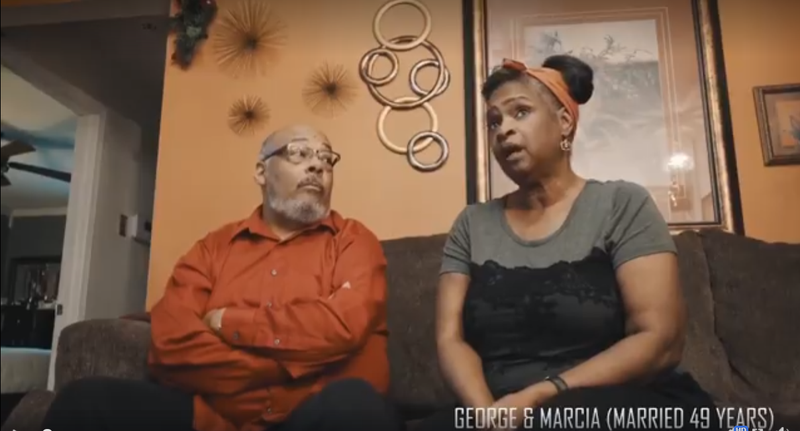 George and Mercia have answers for us, having been married for over 45 years and they've been through it all. George shares some advice he got from his grandfather: "If you and your wife have a disagreement, it should stay in your own home, it shouldn't be all over the neighbourhood". I remember when I got married almost 11 years ago, a very wise woman came to me and said, "No matter what, you sleep in the same bed. Even if you want to smother him with the pillow, sleep in the same bed every night". I've never forgotten that advice, and believe you me, I've wanted to use that pillow often, but we've never slept apart after a fight. What is the best marriage advise have you heard?